I’ve been using Apple’s native Mail app for as long as I’ve been using Macs. I got wind of a new email client last week and I wanted to share. 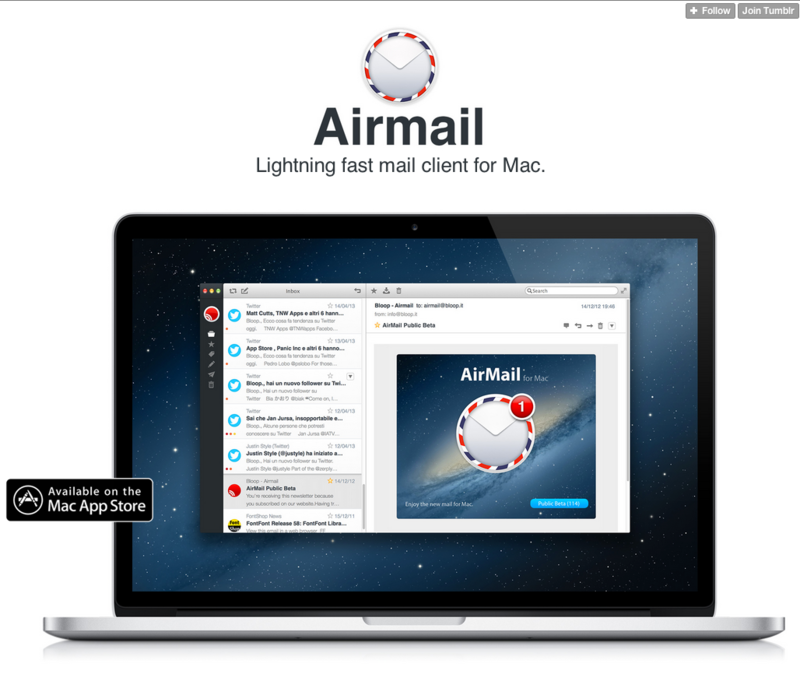 I’ve really been liking Airmail. It’s just $1.99 in the App Store, which I think is the perfect price for large-scale adoption. The one thing about Mail that always bugged me was the poor Gmail integration. I couldn’t label things with my Gmail labels and I never knew if things were deleted or not. If these issues bug you too, it’s worth the $1.99.